Earlier this year, those wacky goats in Goat Simulator decided to take up heisting with the PAYDAY DLC. 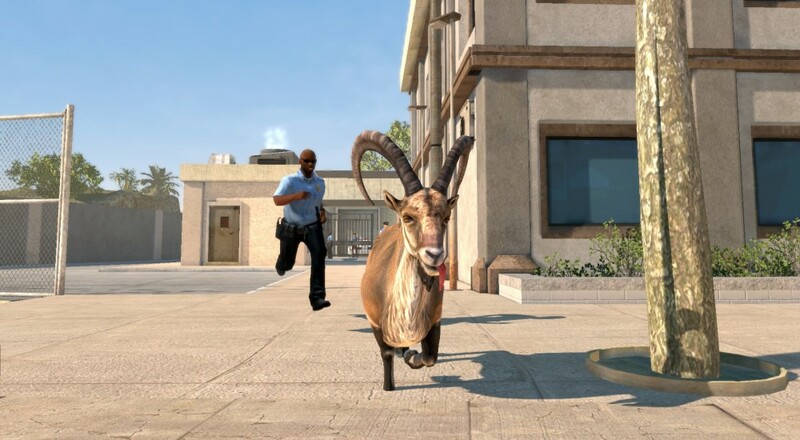 At the time, this was a PC exclusive DLC pack that added a camel, a flamingo, a dolphin, and four new goats to the roster of playable animals in the game, as well as some vaguely PAYDAY 2 themed things. That DLC is now available on the Xbox 360 and Xbox One. Hopefully, the porting of this DLC means that the "Waste of Space" DLC will eventually make its way to the consoles as well. The "Goat Simulator: PAYDAY" DLC is available for $4.99 on both the Xbox 360 and Xbox One. No word on whether it will be coming out for the PlayStation 4 or Playstation 3. Page created in 0.7487 seconds.